This outfit sure scores a home run! 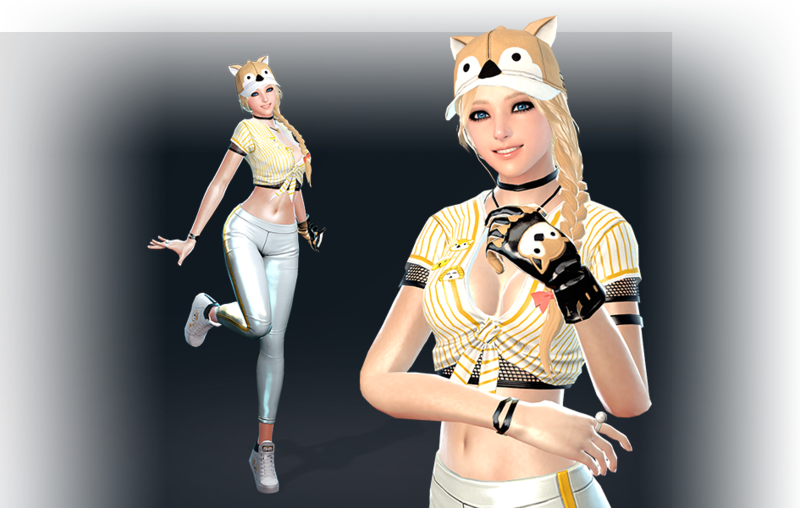 Get this adorable Special All-Star Pitcher Outfit Package and enjoy the Special All-Star Pitcher Outfit Set along with two Summer Heat Outfit Dye Ampoule Boxes! * Please note that this outfit is for female characters only. * 20180711 00:00 PDT Note: We are aware that the pitcher glove isn't visible when the outfit is equipped. We will update you regarding the fix shortly. We apologize for the inconvenience and thank you for your understanding. The Premium Enhancement Package Plus contains Goibhniu’s Enhancement Stone Plus, and it increases enhancement success rate by 6% if used as an enhancement material. Can be used as an enhancement material in place of existing Enhancement Stones (Empowered Enhancement Stone & Paradise Enhancement Stone). Ferghus can enhance your items but it can't be used on +15 equipment or higher. * Note: This package has a single purchase limit per character & it's unable to be gifted.